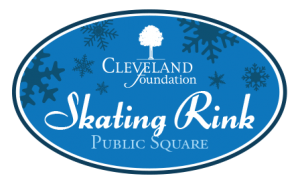 CLEVELAND – The Cleveland Foundation board of directors today announced a $100,000 grant to support ongoing community programming on Cleveland Foundation Centennial Plaza in Public Square. This grant to the Group Plan Commission continues the foundation’s support for the Square, including an $8 million centennial grant in 2014 for the transformation of Public Square and the creation of Cleveland Foundation Centennial Plaza. Since the Square’s reopening in June 2016, inclusive community programming has drawn new and diverse visitors to the space. This latest grant will support the continuation of high-quality programming in the coming year, with a focus on attracting a wide range of audiences. Community engagement event categories will include education, music, art, culture, wellness, recreation, and food. 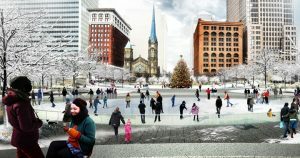 The Cleveland Foundation also announced it will present a free day of ice skating on Cleveland Foundation Skating Rink, to coincide with the return of Winterfest in Public Square. From 8 a.m. to 11 p.m. on Nov. 26, skaters will enjoy free skate rentals and a free 45-minute session on the ice, weather permitting. Tickets are required and will be distributed at Public Square on Nov. 26 on a first come, first served basis; no more than 150 tickets will be distributed per time slot. The Cleveland Foundation Skating Rink will remain open for the season until Feb. 28, 2017 with skating available for $10 per skater, which includes skate rental. Additionally, Holiday Friends and Family 10-packs will be available for sale on-site. 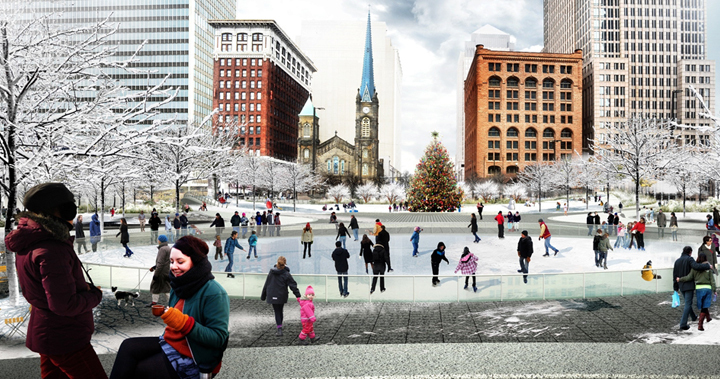 The Group Plan Commission will apply proceeds from the rink to future programming in Public Square.